At Round Three of the FIM Supersport World Championship, the fantastic battle from Thailand resumed in Free Practice Two. After just pushing ahead of Lucas Mahias (GRT Yamaha Official WorldSSP Team) on the last bend at the Chang International Circuit, Randy Krummenacher (BARDAHL Evan Bros. WorldSSP Team) again took first place at the last moment at MotorLand Aragon, recording a flying last lap to head the combined sessions. 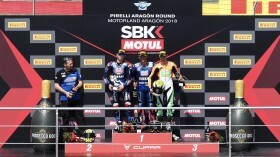 Mahias had just taken first place on his final lap, but eventually had to make do with second, just two hundredths of a second behind the Swiss challenger to his WorldSSP crown. 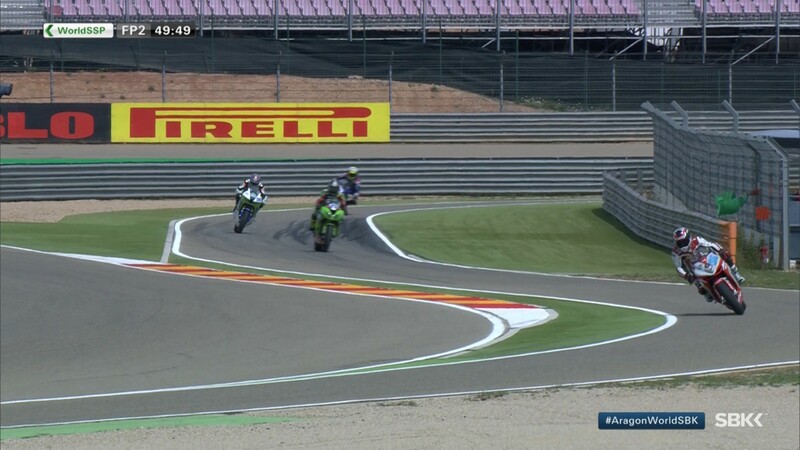 The Frenchman’s teammate Federico Caricasulo (GRT Yamaha Official WorldSSP Team) was also just beaten to his position, finishing fourth with Sandro Cortese (Kallio Racing) also two hundredths of a second ahead. With these results, the top four in the championship standings also took the first four places in the free practices. Behind them and completing Yamaha’s top quintet was Jules Cluzel (NRT), who led a good part of the second session and was first at the end of FP1. He was followed by Luke Stapleford (Profile Racing) and Raffaele De Rosa (MV Agusta Reparto Corse by Vamag) in sixth and seventh. Kyle Smith (GEMAR Team Lorini), Ayrton Badovini (MV Agusta Reparto Corse by Vamag) and Michael Canducci (Team GoEleven Kawasaki) grabbed the final top-10 best times and qualify automatically for the Superpole 2, just ahead of Rob Hartog (Team Hartog – Against Cancer), the first-placed rider of those taking part in the FIM European Supersport Cup. 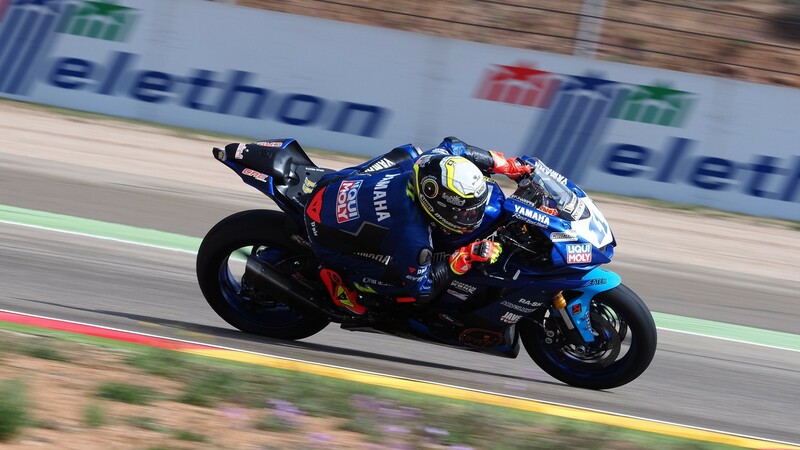 As with WorldSBK before it, all the WorldSSP challengers improved greatly on their FP1 times, as blue skies took hold of the MotorLand Aragon circuit in the early afternoon. Times in FP1 varied by up to 20 seconds, with the track still drying out after a rainy night and many riders cautious in their approach. 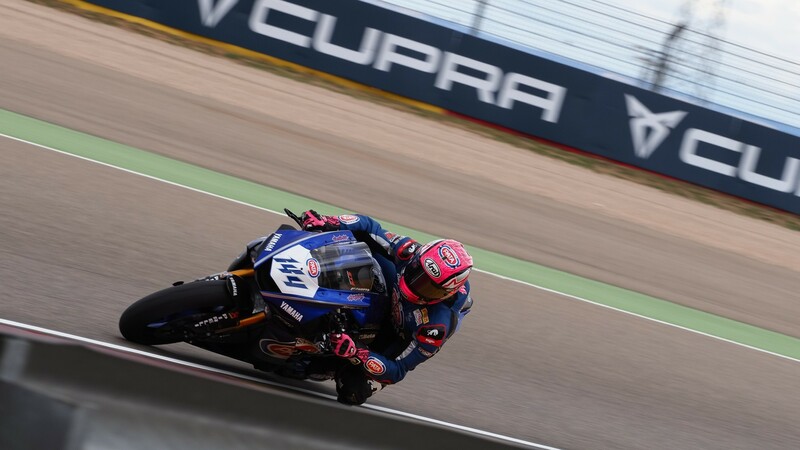 WorldSSP resumes tomorrow at MotorLand Aragon with the FP3 at 09:15 (07:15 GMT), followed by the Superpole 1 and 2 starting from 14:00 (12:00 GMT), with all the reactions, results and more live on the WorldSBK VideoPass.